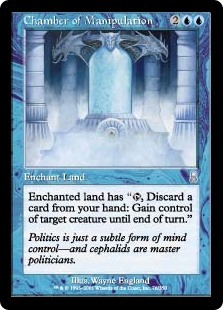 Good morning, EDHREC! I’m Bernardo Melibeu and this is The Epic Experiment, a series where we throw all common sense aside and experiment with some unusual cards, effectively changing how we normally build our deck. Is it going to work? Who knows?! We’re making science here. When you’re an Izzet mage, blowing things up in front of your own face is half the fun. Grimgrin, Corpse-Born enters the battlefield tapped and doesn’t untap during your untap step. Whenever Grimgrin attacks, destroy target creature defending player control, then put a +1/+1 counter on Grimgrin. He’s a sacrifice outlet in the command zone. He has some synergies with +1/+1 counters, but he’s not in a good color combination for it. His final ability is a removal spell on a stick. I’m kind of amazed how basically all cards from both sections are dedicated to Zombies. I knew, coming in, that Zombies were a popular way to build Grimgrin, but I didn’t expect all of them. There are a few angles we could build a deck around, but the best one (in my opinion) is the sacrificing aspect. How can we (ab)use this? Well, perhaps we could steal our opponents’ creatures from right under their noses, and when we’re done with them we just use them as fuel for our commander. Control Magic and other such Auras have the drawback of returning the creature to its owner if they are destroyed, but with a sacrifice outlet in the command zone, we can sacrifice the creature in response to the removal spell. 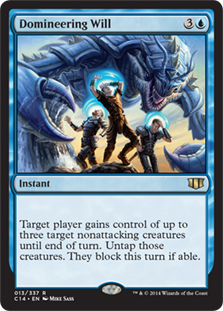 We also capitalize on Threaten effects, as we can sacrifice the targeted creature at end of turn. The first type – the Control Magic-style effects – are more expensive and permanent-based, which is great for stealing key cards since we can keep them around for longer. We have several options in this category. Callous Opressor can be used as a political tool. Dragonlord Silumgar is the one-two punch of controlling someone’s mind while also presenting a relevant body on the battlefield (and also has the benefit of being able to steal planeswalkers). Sower of Temptation and Control Magic are essentially the same card for our sacrificial purposes. Soul Ransom is very similar to the previous two cards, but it gives the outplaying element, since our enemies have the opportunity to get the creature back in exchange for quite a bit of card advantage. Note, however, that if an opponent attempts to activate the Soul Ransom ability to remove the Aura from their creature, we can still sacrifice the creature in response! The second type of effects are cheaper and usually repeatable, but they only last until end of turn, so we really need a sacrifice outlet to use them. Because of this unreliability, we’ll have less of these cards. Plus, temporary control is much more common in red than in blue. Luckily, there are still some neat options. 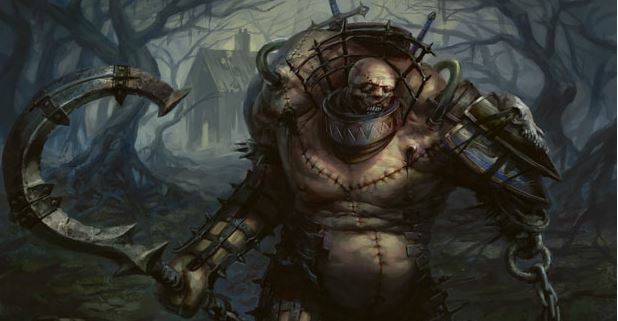 Overtaker and Chamber of Manipulation turn unwanted cards and extra lands into Threatens. Domineering Will is super efficient for its mana cost; stealing three creatures and sacrificing them afterward is just too strong. We also need backup sacrifice outlets in case we don’t have access to our commander. Disciple of Bolas gets us back up on card advantage, since we’re down a card every time we spend one to steal a creature. 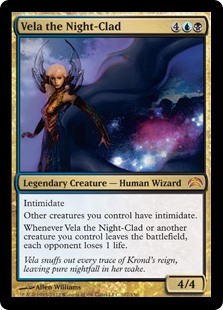 Krav, the Unredeemed also get us our cards back, and has the benefit of becoming a sizable threat very quickly. Sidisi, Undead Vizier let us tutor for any card in our deck, and is also a great blocker/reanimation target. Attrition is excellent repeatable removal. Sacrificing the stolen creature in order to destroy another creature its owner controls just adds insult to injury. Victimize get us back cards on board. This is a powerful effect and that shouldn’t be use lightly. Viscera Seer is just to have another instant speed sacrifice effect. Costing no mana to sacrifice those stolen critters is a big help. Let’s check out how it all comes together! The first thing to notice in this list is that we aren’t a Zombie deck. Instead, we’re playing a more value based midrange deck, utilizing the enters-the-battlefield effects of our creatures to generate advantage. Since those creatures already did their job with their ETB abilities, we can easily sacrifice them to Grimgrin, Corpse-Born. These creatures vary from outright removal, like Ravenous Chupacabra and Faceless Butcher, to card draw, like Mulldrifter, Dusk Legion Zealot and Baleful Strix. 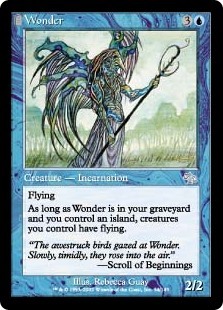 We also have a reanimation subtheme to help us squeeze out more value from our creatures. Apprentice Necromancer is a cheap way to get back some relevant ETB effects when needed. Doomed Necromancer is very similar to the Apprentice, but we get to keep the creature, meaning that this is destined to pick something with more staying power than, let’s say, Ravenous Chupacabra. Phyrexian Delver is a strong card with little downside (at least with the 40 points life total). Puppeteer Clique plays really well with our commander, since we can reanimate some relevant creature from the opponent and sacrifice said creature at end of turn. We can also repeat it once more if needed. Our plan is rather simple: get every last drop of value from our creatures, and swing them sideways. A misleading element of Grimgrin is his pseudo-evasion potential. While at first glance he may seem like he’ll just get chump blocked, take into account that he can destroy a possible blocker when he attacks. This, in addition to our steal-your-stuff strategy, leads us into a strange game of Poker that leans in our favor. For the early game we need a hand that can start generating value. Some pieces are better drawn in later stages of the game, so sometimes it’s better to mulligan aggressively instead of keeping a hand with very little early play. Hitting for a few a turn can help us close the game more easily. It’s true that our creature suite is very small in size, but the 2-for-1 aspect of our spells gives us advantage and helps us get through some damage. In the mid game we might have a creature or two, and it’s important to get Grimgrin safely onto the battlefield, because once we untap with him, we can start doing some serious damage. By this point we might want to look for some juicy creatures to steal. We need to keep in mind that the type of steal effects we draw will influence our line of play; temporary effects are more used as a way to clear blockers and grow our commander, while Control Magic enchantments are more suitable on high-impact creatures, turning their abilities into our advantage and sacrificing them only in emergencies. In the late game we need to do a late push to get the final points of damage across. While it becomes harder to gather a sizable army, we also have the opportunity of Voltroning out unaware opponents with our commander. 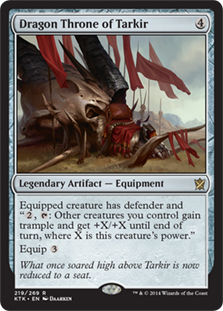 Dragon Throne of Tarkir and Wonder can help us get through, specially the first, since it has crazy potential with Grimgrin’s untapping ability. Vela the Night-Clad serves double duty as both evasion granter and as a Zulaport Cutthroat-style punisher. Having so many small creatures is a liability by this point, but if we got to do damage in the earlier stages of the game, we’ll be okay. This was a fun brew! 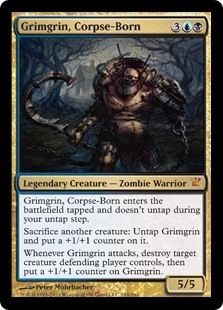 Grimgrin offers so much raw potential that it’s kind of sad to only see it used as a Zombie tribal commander. For this list, there’re many things that can change, such as the addition of clone effects like Quasiduplicate, Cackling Counterpart and Rite of Replication. All of those are great additions, but need to invest further into thievery to be more effective. If we want to delve deeper into the thievery theme, it would take up some slots from the other synergies, such as the reanimation subtheme, so there’s a lot of flexibility to play around with. It’s also worth noting that these effects are very concentrated in the 4 mana slot, which is a very disputed one(Ravenous Chupacabra, Panharmonicon, et. al).